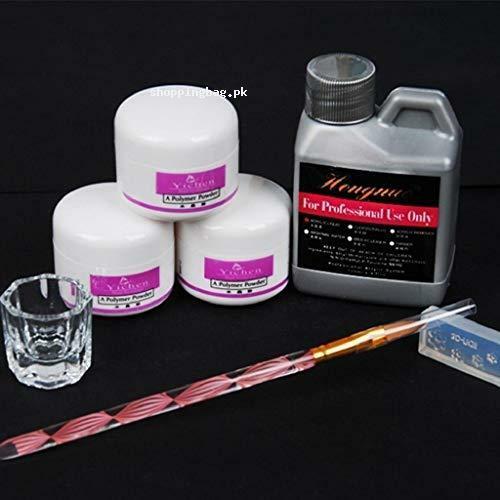 The USA imported SAKAMU-Pro Acrylic nail art tools kit contains three different colored polymer powders, acrylic liquid, dampen dish, and nail art brush. Professionals mostly use the acrylic nail-art kit for making the trending acrylic nails. The colors of polymer powder available in kit are Pink, clear, and white. Hit order now to buy the ultimate acrylic nail art kit from Amazon online shopping in Pakistan.